On March 12, 2019, an awards ceremony was held for the 2018 Ohbu Award(Researcher Incentive Award and Technician Incentive Award). Postdoctoral Researcher Isao Ishikawa(Mathematical Science Team), Research Scientist Takuro Fukunaga(Discrete Optimization Unit), Research Scientist Keisuke Fujii(Structured Learning Team) received the Research Incentive Award. 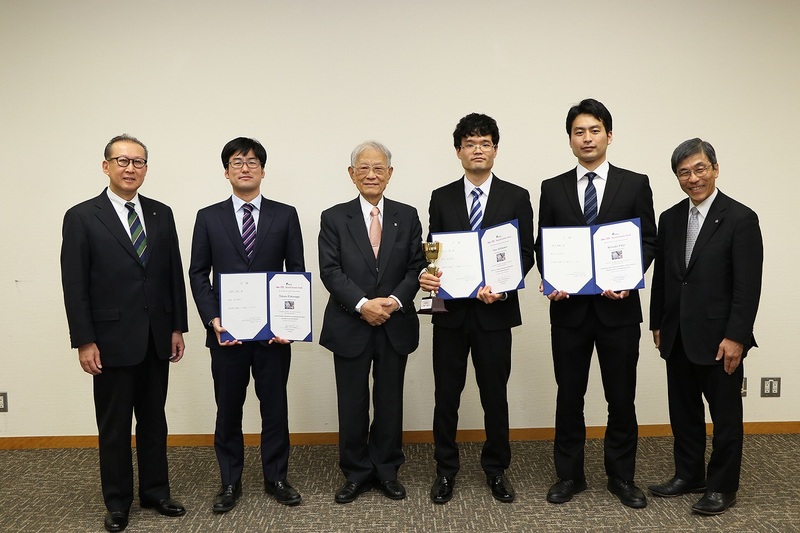 The Ohbu Award(Researcher Incentive Award and Technician Incentive Award) are given to young researchers and technicians who have contributed to furthering RIKEN’s ideals by achieving exemplary results in their research or research support activities. Total number of awardees is around 50.